Located in Nevada’s Mojave Desert, Las Vegas is a resort city famed for its vibrant nightlife, which is centered around 24-hour casinos and other entertainment options, from fountains synchronized to music as well as replicas of an Egyptian pyramid, the Venetian Grand Canal, and the Eiffel Tower. The town’s main street and focal point is the Strip, which is just over 4 miles long and home to themed hotels with elaborate scenery, eateries, and nightclubs. 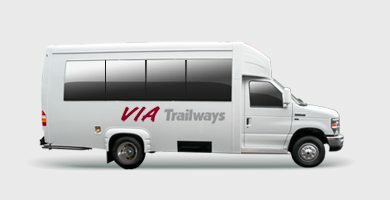 If you’re planning a trip to Las Vegas, let Via Trailways help you get there! We want your trip to be as stress-free as possible so you can focus on having a relaxing and fun-filled time.